Okay. I suppose nobody really needs all Urban Decay Naked palettes. But I am a proud owner of all the three and I have my reasons. I absolute adore the first Naked palette, it is the eyeshadow palette that I grab most for my day or night looks. It is possible that you can find - or create yourself- your own Naked palette as these colour tones are just like everywhere, but I prefer staying loyal to Urban Decay ;). I must admit that this palette has sadly a big con....the packaging. It is really not travel-friendly and the velvet cover just keeps getting dirty...so, that is also why I decided to buy Naked palette 2. The colour tone is similar to the 1 but cooler and the metal packaging is just much easier to handle, especially when you travel somewhere. (Even though I advise to keep your precious eyeshadow palette in your hand luggage, because airport loaders are just bad. too bad, trust me!). And than, the Naked palette 3 came along. The reason why I bought it is really much related to its pink tones. I own already a Dior palette with the same color range - Rose Collection- and just suits my pale complexion very well. So, here, we are. All three Urban Decay Naked palettes are mine. Said all that I keep myself away from the smaller and compact Naked Basic eyeshadow palette because...well for me really too much basic, sorry XD. 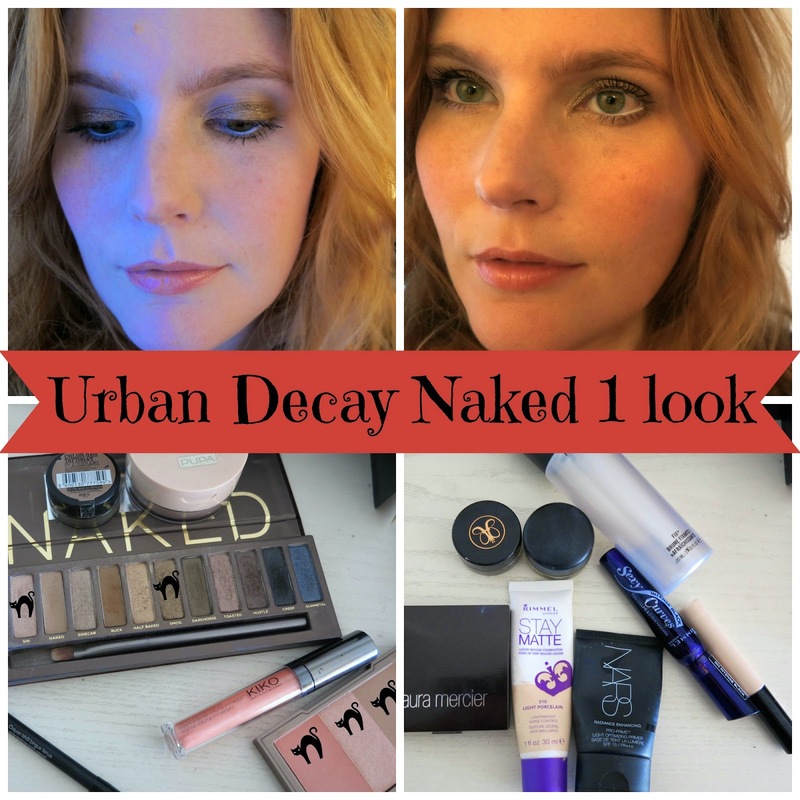 Last month, Urban Decay finally arrived in Germany - urrrah!- so I thought to share my love for this brand with you all. I visited their great counter at Oberpollinger in Munich and I can just declare all my love to UD, again and again XD. The looks, I will show you here are really easy. Nothing special, I wanted to show you just how I like combine fast and easily day looks. Nothing crazy as always, but I hope you will like it. Urban Decay palette is available now also at the new UD German online store 45,99 €. Urban Decay palette 2 is available now also at the UD German online store 45,99 €. 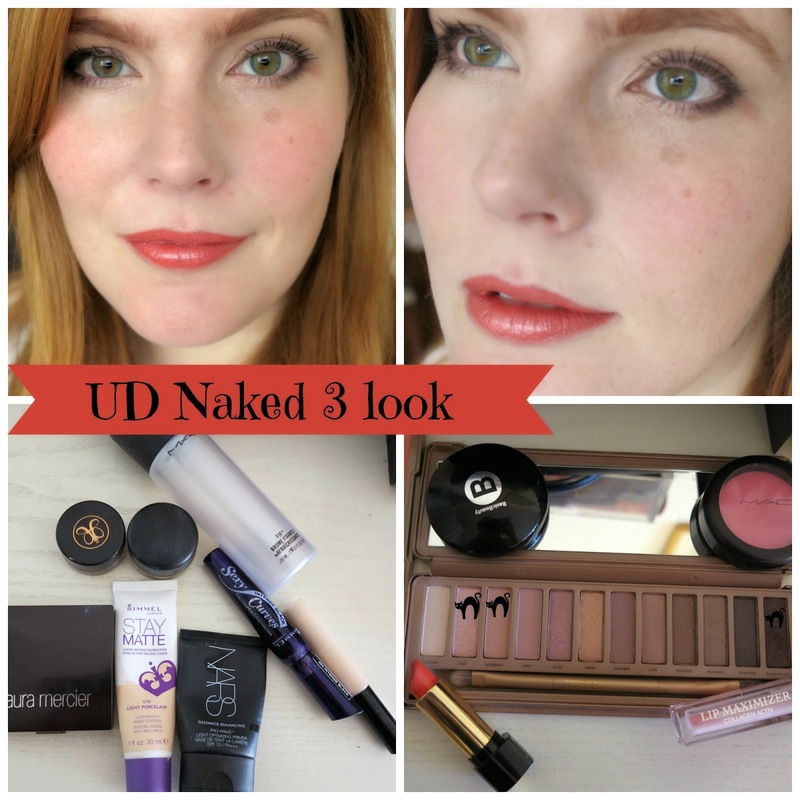 Urban Decay palette 3 is available now also at the UD German online store 45,99 €. You may have also noticed a new arrival in my Naked family: UD Naked Flushed in Streak (31,99 €). At first, I was not really keen to buy this blush palette. I usually do not like products which combine bronzer+blush+highlighter because I feel the application can get a bit messy. But when I saw the swatches of this product I could not resist. Streak is the Naked Flushed palette with the most corally blush colour in the range. I must admit that I was tempted to buy the blush palette with the pink blush - Native- but I have SO many pink blushes that I chose the coral one instead. The metal packaging is very compact, perfect for travelling. The bronzer is a medium tone - not too dark on pale complexion - and the texture is sooo buttery, you have to be careful applying it. The highlighter has a subtle frosty finish. The payoff is not that great if I have to be honest with you. The coral blush is my favourite part of the palette. This is my first matte coral blush, I love its pigmentation and payoff on my pale complexion. I used it already a couple of times and till now, I am satisfied. Not really a must-have, but it is a good quality product. The lasting effect was really good too. So that was all. Let me know what do you think about the Naked palettes, do you own one? or you just think they are not worth the hype? Thoughts on the flushed palettes? Che bello il rossetto che hai abbinato al look con la naked 2! Grazie mille! e' uno dei miei rossetti preferiti :) dalla linea di Dita von Tease per Artdeco! la terza non posso che consigliartela, ha dei colori stupendi!